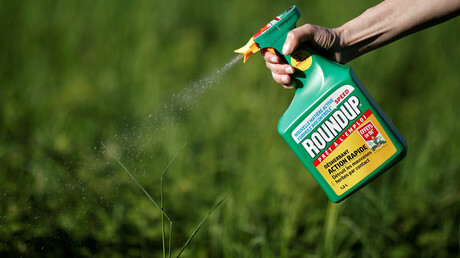 A groundskeeper who developed non-Hodgkin’s lymphoma after using Monsanto’s weed-killers for years is entitled to $39 million in compensation and $250 million in punitive damages, a California jury has decided. The jury at the Superior Court of California in San Francisco deliberated for three days before agreeing that Monsanto had failed to warn DeWayne Johnson, 46, and other consumers of the herbicide’s cancer risks. Johnson filed the lawsuit in 2016, alleging that Monsanto’s Roundup and Ranger Pro herbicides are responsible for his cancer. The trial was expedited because his doctors said he was unlikely to survive past 2020. As part of his duties as groundskeeper at a California school, Johnson used Roundup between 20 and 40 times a year, sometimes “hundreds of gallons” at a time, according to his lawyer. Two years after starting his job, he was diagnosed with the aggressive cancer. Speaking to reporters after the verdict, Monsanto VP Scott Partridge said that the company will appeal and continue to “vigorously defend” the herbicide. “The verdict today does not change the science,” Partridge said.